Last night our Transition Year came to the end of their course, with the annual presentation evening to pupils, parents and staff, which featured the usual mixture of pupils' work and an address by a distinguished guest. 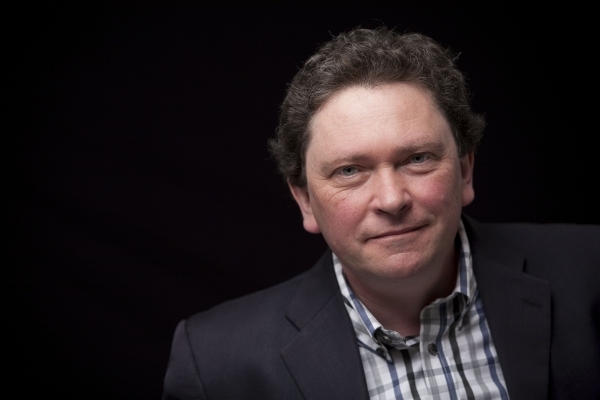 We were delighted this year to welcome the well-known journalist and author Tom Doorley (pictured), who taught History and English at St Columba's in the early 1980s. Six varied pieces of writing from the Work Portfolio were read out: William Wood opened up with a powerfully-delivered reading of Rebekka Kehrwald's vivid 'Being Underwater', followed by:- Pia Gromotka's letter from a grandmother, passing on an heirloom to a granddaughter; Brendan Dickerson's vividly imagined 'In the Aliens' Zoo' (read by Ugo Onwurah); Sadhbh Sheeran's declaration of her feminism (prompted last week by this article from the Irish Times, '10 Good Reasons to be a Feminist'); Jessica Scott's reflection on her very busy and productive Transition Year (read by Molly Dunne); finally there was Helene Peters's half-comic, half-horrific and scarily-delivered piece imagining the thoughts of a deranged individual with 'a plan'. Some of these pieces will be posted on this blog in the coming weeks. Tom Doorley opened his remarks with attentive, perceptive and complimentary comments about this small selection of the work done this term, including a comment that Helene Peters's piece would not have been out of place on Radio 4. He then reminisced about his teaching life at St Columba's, with many highly entertaining anecdotes much enjoyed by all. He said that the College has a special spirit and a particular sense of community, and that although he left teaching in the 1980s, he still misses the particular rewards of the classroom. Tom's career has taken him to advertising, copywriting, journalism and authorship, and he emphasised to the pupils the importance of using language precisely, and of reading widely. You have to be able to write in a variety of forms and about many subjects (he told us that later in the evening he had to sit down to write an article on broccoli...). Tom concluded by urging pupils to join Twitter and learn the discipline of writing effectively in 140 characters - no better way to start than by following the man himself at @tomdoorley. Coming soon: his new website at http://www.tomdoorley.com/. Finally, congratulations to the four pupils out of 56 who were given Premier Awards (80% or higher): Siobhán Brady, Alexandra Owens, Helene Peters and Sadhbh Sheeran.